When we were at the chocolate conference in Addison over the weekend, we met Zach Townsend, owner of Pure Chocolate Desserts By Zach. There were a lot of choclatiers at the conference, but only one who is also a cookbook translator. His book, an English translation of Larousse on Cooking, comes out October 16. He had a preview copy at the conference, so we were able to flip through the pages of beautiful photos (all of which were taken in France) while sampling his dilectable mousse truffles. How did you get into recipe translation? I started studying French in high school and felt a connection with the language, so I continued my studies in French at Murray State University in Kentucky. I decided to pursue a minor in the language along with my business degree. I also enrolled in a private school in Paris for about 6 months where all of my courses were in French. When my studies at Murray State were completed, I had the equivalent of a major in French. After college and working for awhile, I pursued my Master of International Management at Thunderbird School of Global Management in Arizona where a second language was mandatory. By the time I had my Masters degree, I had achieved fluency in the language. I went on to obtain my D.E.L.F. 2nd degree certification in the language, a set of official French proficiency tests administered by the Centre international d'étude pédagogique. Once my culinary career started, I pursued combining my love for food with my love for writing and the gravitation toward translating culinary books was a natural step. I have also translated for Wine Enthusiast magazine. How did you become connected with this manuscript? 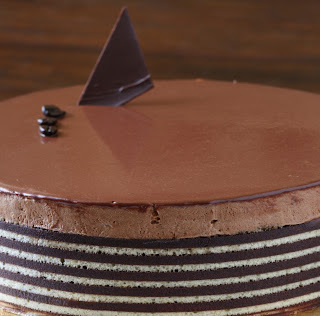 My editor at Dessert Professional magazine, Tish Boyle, is also an author, and her books have been published by John Wiley & Sons, Inc. She recommended me to the editor at Wiley who needed someone to translate Petit Larousse Cuisinier whose English rights they had purchased from Larousse. Since I was also a contributor to Rose’s Heavenly Cakes (by Rose Levy Beranbaum), also published by John Wiley & Sons, the editors were familiar with my name and work so they offered me the book. What appeals to you the most about this book? 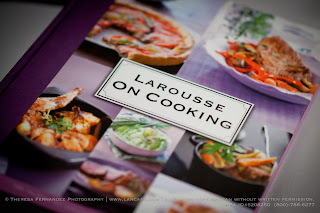 The enormous amount of recipes contained in the book covering a wide variety of cuisine, but also the fact that Larousse kept every recipe to 1 page in length to make them all approachable. The book also has a beautiful photograph for each recipe, and there are over 300 recipes in the book. It also has a great little techniques section in the back. I can't imagine the amount of work involved in doing translation work on this scale. What helped you to accomplish it? Passion and perseverance, driven by very tight, short deadlines! I was determined that the book be as accurate as possible in terms of connecting with an American audience and in terms of the accuracy of the conversions and translation. I believe I achieved this. It required a huge amount of hours per week for three months, not only translating but editing, then editing again and again. I worked with my editor and the people at Larousse in France any time I had a question about their approach or the ingredients. What is the one thing you wish everybody knew about French cooking? That it’s actually a healthy and happy way to eat, in moderation. How long were you in France? I have spent more than a year in France living, working and studying. My time was spent mainly in Paris, but I have spent a significant amount of time on the Côte d’Azure, in Burgundy, the Centre, Normandy, Brittany, Champagne, and the southeastern part of the country, to name a few. In 2004, I traveled throughout France staying in people’s homes to collect soup recipes from the different parts of the country. I continue to travel to France, usually once every 1-2 years to catch up with friends and stay on top of food trends. How do you feel your time spent there shaped your cooking style? Of course I have an affinity toward French-style cooking, both rustic cuisine (which is sometimes referred to as “peasant” cuisine or la cuisine bourgeoise), and haute cuisine. The rustic home-style cooking of France reminds me a great deal of the type of food I grew up on in Kentucky, so I love this type of cooking with its rich sauces, hearty vegetables and stewed meats – it’s the ultimate comfort food, and there is nothing better, in my opinion, than this type of food. But I also love the refined and delicate nature of haute cuisine. Usually when I’m in France I spend time indulging in both. I think the most important aspects of French cooking that influence how I cook at home are “refinement” and “simplicity of ingredients.” The French have a way of making the most delicious dishes out of a minimal amount of ingredients. To do this, they focus on the quality and freshness of their ingredients and on the small details of cooking them properly. If you had to pick one region of France and one restaurant in that region that you enjoyed the most, what would it be? One of the best restaurant meals I have had in France was at Au Bon Laboureur in Bray-sur-Seine in the Champagne region. 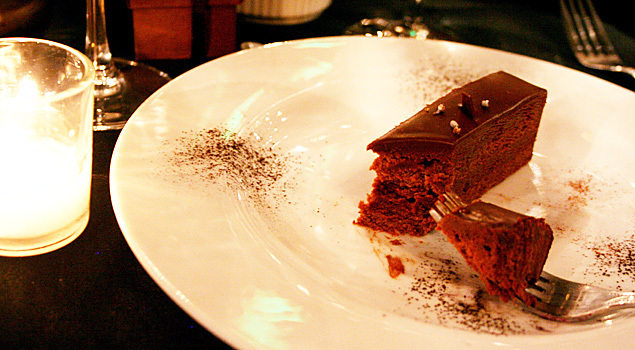 The restaurant is owned by an older couple and the food they serve is refined and regional. They have the most incredible in-house terrines and pâtés and fantastic stewed dishes, and their selection of local cheeses, served on a large straw tray at the end of the meal, overwhelms you when they bring it to the table. Their service is impeccable because it’s warm and inviting, and if you eat there more than once, which I have, you’re suddenly part of the family. I spent many long nights at the table there with friends. Has your translation work helped you in creating your own unique recipes? Each time I work with someone else’s recipe, I am inspired, so yes, it has. I am always creating new recipes, and when I make a recipe I’ve translated, I think about how I can adapt it or use components of it to create my own version of it or something new. 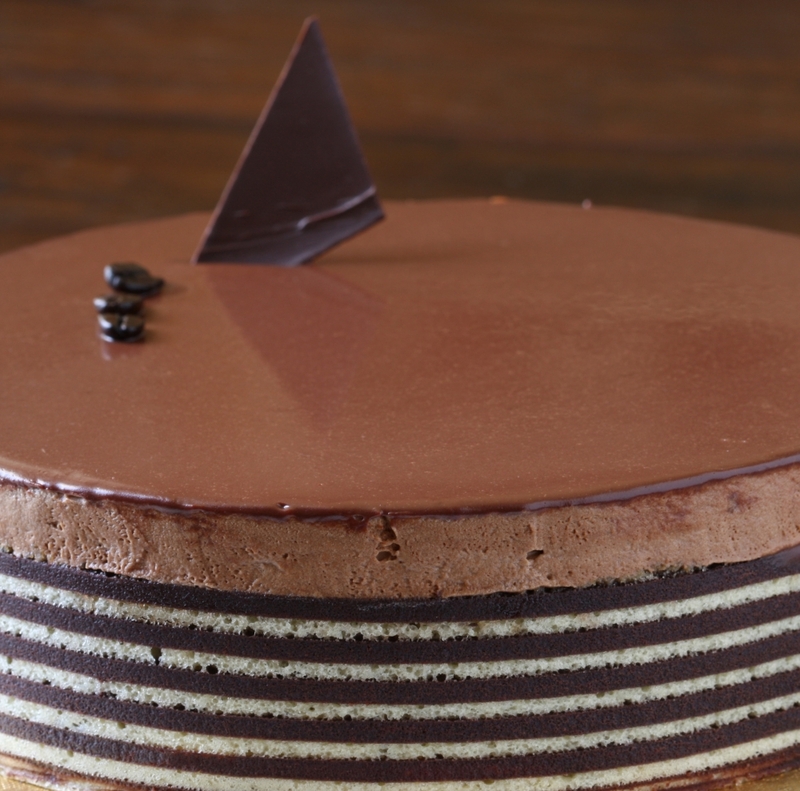 Would you be willing to share a recipe with us? Yes, this is a great recipe that my best friend’s mother made for me one evening when I was visiting her and her husband at their summer home in an area of France known as La Creuse (in the Centre). They live in Paris and are retired school teachers, but they maintain their family home in Chambon-sur-Voueize where they spend the summers. The recipe is very simple but there is not a lot of detail. It’s easy enough, however, to adjust and learn from after making it once. It’s delicious and a great dish for winter when you’re in the mood for something hearty. If you have difficulty getting the potatoes to cook all the way through before the pastry browns, I suggest par-boiling them in milk first. Pâté aux pommes de terre (or “Recette Belle Hélène”)One 10” tart pan. Slice the potatoes into thin rounds, preferably using a food processor slicer or mandoline to ensure even, thin slices. Season with salt and pepper. Finely chop the parsley and shallot. Mix all together in a large bowl, set aside. Roll out the puff pastry sheets and line the bottom of the tart pan with one of the sheets, ensuring to line the sides as well. Arrange the potatoes in the pan on top of the pastry sheet. Scatter the butter pieces on top of the potatoes. Cover the potatoes with the other pastry sheet and crimp the edges to seal. Cut 2-4 small slits in the top of the pastry. Place in the refrigerator to chill, about 30 minutes. Brush the pastry with egg wash (1 whole egg beaten with a little bit of water). Bake for about 50 minutes or until the pastry is a deep gold brown. You may have to cover the top of the pastry with aluminum foil if it begins to brown too much before the potatoes have enough time to cook. After 50 minutes or when the pastry has browned, remove from the oven and cut out the top of the pastry, running your knife around the outer edge of the top all the way around. Lift the top up carefully and test the potatoes for doneness using a toothpick or tip of a knife. If still firm, replace the top, then place back in the oven until tender, keeping in mind to protect the pastry from browning too much by covering with the aluminum foil. When the potatoes have reached the desired tenderness, remove the top and spread the crème fraîche or sour cream over the top of the potatoes. Season again lightly with salt and pepper, if desired. Replace the pastry top. Set on a cooling rack to cool slightly. If it needs to sit for a long while, return to a warm oven before serving. Slice in wedges to serve.